Come and get a sneak preview of some of the projects we are currently involved in by participating in a study. 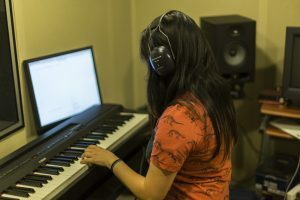 Participating allows you to gain exposure to the world of research, learn about our unique projects in music cognition (and perhaps spark some ideas of your own! ), and earn credit towards your psychology courses. To sign up for experiments currently being conducted by the MAPLE Lab, go to the McMaster SONA System. You will need to request an account if you do not have one already. Once you are logged in, click on the “All Studies” tab to see a list of all currently-running experiments in the university. Participants from linguistics wishing to earn credit towards linguistic courses should go to http://mcmaster-ling.sona-systems.com/ to sign up.